Emojipedia has a full list of all the emoji we can expect to see in 2019, including flamingo, otter, waffle, sloth, white heart, people holding hands, ice cube, snorkel, juice box, potato, and more. 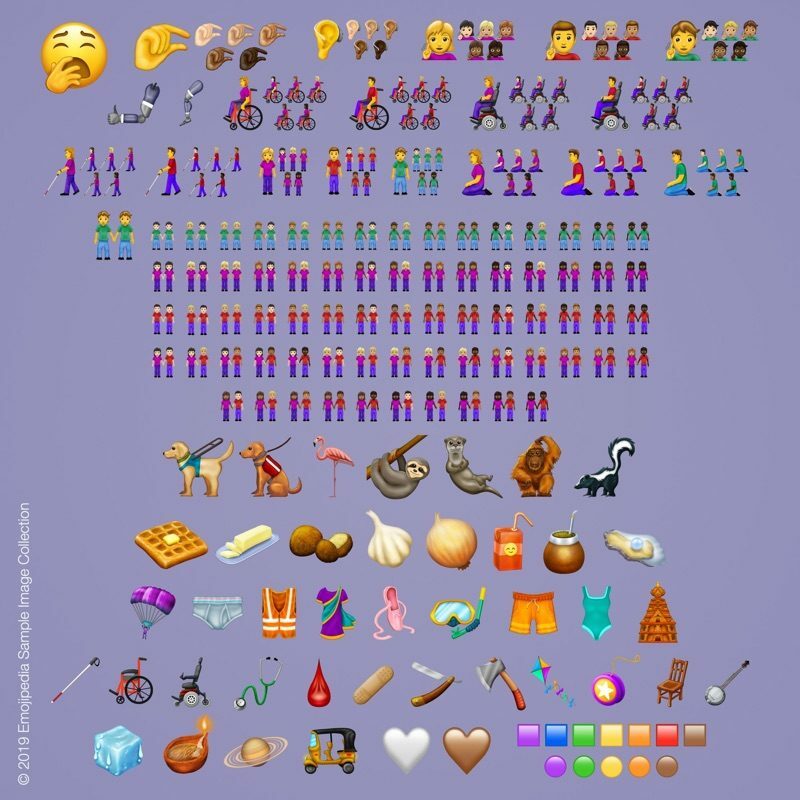 The 2019 emoji lineup will introduce new emojis to represent people with disabilities, such as person in wheelchair, guide dog, and deaf people. It will also include support for mixed race couples.